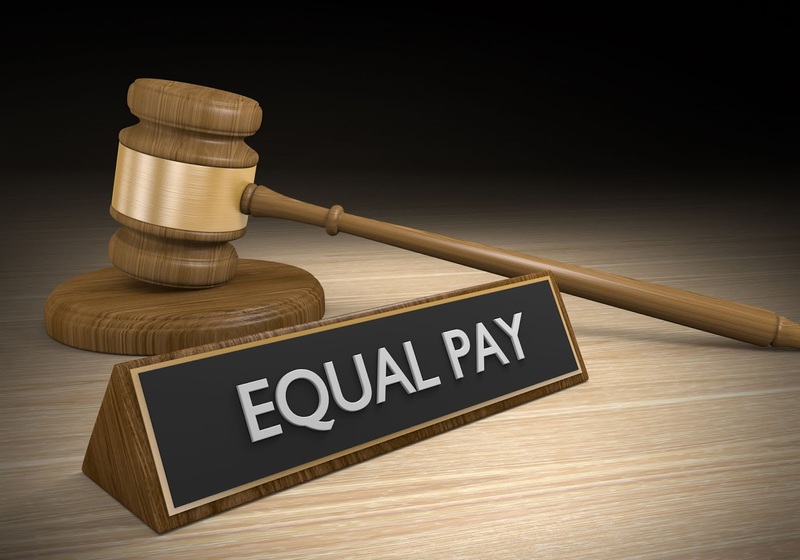 What Will It Take for All Companies to Enact Pay Equality? The gender pay gap is here to stay. Or at least it’s likely to hang around until companies actually address it. To be exact, the World Economic Forum (WEF) predicts that women around the globe will need to wait another 217 years until the gender pay gap is closed. Sadly, the WEF added 47 years to its projection within the last year alone, meaning global gender parity is actually shifting into reverse. While the reasons for this are wide-ranging, one factor is simple enough: wage inequality requires more than idle chatter. It requires action. It’s not that there’s been zero progress. In America, the 18-cent on the dollar gap has narrowed since 1980, when it was 36 cents. But before we congratulate ourselves, also consider that despite being one of the most trumpeted business initiatives in recent memory, the disparity has held relatively stable for the past 15 years. In 2017, American women earned 82 percent of what men earned, and those figures become even more dismal when segmented by race and ethnicity. The gap is also much wider in higher-paying industries and roles. While 20 cents may not sound like much, consider that it necessitates 47 extra work days for women to recoup the same annual salary as men. As a result, the average woman misses out on $400,000 during the course of her career, a figure that’s even more upsetting when considered from this angle: equal pay could lift 3.1 million working women and their families out of poverty. Why, then, aren’t we doing it? Most business owners and executives already know that equal pay is good for business. Countless studies have demonstrated that when employees are rewarded fairly, productivity and talent retention increases. Plus, wage equity matters to employees and customers alike. Almost 75 percent of Americans think the gender pay gap is unfair and only 16 percent believe companies are doing enough to close it. Meanwhile, 66 percent of Americans are less likely to buy a product from a company that doesn’t pay women fairly. So, what, exactly, is the problem? Despite evidence to the contrary, employers still like to attribute gender bias in the workplace to the behaviors of their female workers. Maybe women aren’t assertive, proactive, or confident enough to command equal pay. But a recent Harvard Business Review study found no perceptible differences in the behaviors of men and women at work. Women had the same basic work patterns, the same number of contacts, spent as much face time with senior management, and allocated their time similarly to men in the same role. It’s not a confidence gap, either. Women rate themselves no lower than men performance-wise and there are no self-reported discrepancies in self-confidence. Despite the common rhetoric that women can do more to help themselves in the workplace, the difference truly lies in the perceptions of their behaviors rather than the behaviors themselves. In other words, it comes down to bias. That being said, the onus for pursuing a gender-diverse workplace needs to be shifted from female employees onto the shoulders of the organization itself. And, for those businesses that believe their female employees are satisfied with the status quo, think again: 4 in 10 women believe they’re discriminated against in the workplace, while only 2 in 10 men believe they’ve experienced gender discrimination; women are four times as likely as men to say they’ve been treated as incompetent due to gender; and they’re also three times as likely to say they’ve experienced repeated workplace slights because of gender. Those are not the sentiments of a satisfied workforce. Investigate which problems are most pervasive within your organization. You might consider spearheading focus groups with female employees or anonymously polling employees to understand where some of your biggest issues lie. Try to determine things like: whether women feel they need to justify their competence more than men; or have trouble landing higher-status assignments; or are given demeaning office clean-up roles more than male counterparts; or have trouble walking the tightrope of being aggressive enough for the job versus being perceived as likeable? Is there a motherhood bias, causing fewer mothers to be hired, promoted, or paid fairly? Turn over as many rocks as possible and see what you find. Develop ways to measure your business’s most pressing shortcomings. Are there ways to track the circumstances around internal promotions? Can you identify low value, “office housework” and track how it is assigned? You might also consider monitoring whether women’s assignments differ before and after maternity leave. Record how people are hired, how work is assigned, how performance is evaluated, as well as why women aren’t hired, promoted, or choose to leave. By establishing baseline measurements for as many areas as possible, you lay the foundation for meaningful change. Generally speaking, it’s easier and more effective to make a series of small changes that address specific problems, rather than launching extensive programs aimed at raising awareness and changing corporate culture. Sweeping initiatives such as Best Buy’s Results Only Work Environment can be very effective, but run the risk of being cancelled due to the expense (as happened to Best Buy following a leadership change). By interrupting each bias separately, company initiatives remain nimble and tie into metrics more easily. It’s also harder to discontinue practices since they’re more finite and ingrained in your existing processes than a larger initiative would be. Once the measurement begins, companies can track the results of interruptions, ratcheting up those that work and replacing ones that don’t. One easy hiring change would be to develop job advertisements that steer away from masculine-gendered words like competitive, assertive, or ambitious. Or, consider handing hiring managers blinded resumes so that candidates can be evaluated equally. Another possibility would be to mandate a diverse slate of candidates. Companies can also standardize interview questions, keeping in mind that women are less comfortable with blatant self-promotion because of the double-standard that requires them to be “modest” and “likeable.” Do everything you can to standardize pay inequality, and also consider adding a “salary negotiable” clause into job descriptions, which has been found to encourage more women to ask for higher salaries upfront, helping to close the pay gap by 45 percent. If you find that men are receiving higher-value assignments than women, consider raising awareness of this issue, or combat it by developing a system that divides work more evenly. Some companies have also lessened expectations for employees that are struggling to balance work with home and family obligations. If performance evaluation criteria and materials aren’t standardized, women will likely receive smaller raises than their male counterparts. Evaluations that are solely performance-based currently yield greater rewards for men versus women. Outside firms like Ernst & Young can read through evaluations and identify such issues. Also, make the requirements for success explicit. Women fare best when compensation systems are based upon objective, measurable metrics. If there are universal skills that are expected from employees in order for them to succeed, communicate that list to all employees. No one should need to guess which factors determine their pay. Any desired “soft” skills should also be analyzed for bias. For example, women shouldn’t be penalized for not conforming to certain gender role expectations. One common manifestation is when women are required to both excel at their jobs and show warmth toward others when men need only fulfill the first imperative. Reviews and promotions can be periodically audited to ensure men aren’t systematically edging out women. Conduct a pay audit immediately. You may be surprised what you find. It’s also a good practice to tread carefully in areas where women are expected to engage in heavy self-promotion in order to advance, as our unconscious bias can either discourage or penalize women for doing so. For example, Google identified systematic bias in their promotions because of a policy requiring employees to nominate themselves, which fewer women were willing to do. Ideally, these types of requirements should be removed. At a minimum, companies should encourage female employees to negotiate and self-promoter and applaud their efforts accordingly. Addressing bias requires trial and error, and efforts inevitably strengthen over time. After all, if there were a universal, no-fail solution, such large discrepancies might not persist. But if nothing is risked, nothing is gained, and by creating hypotheses on what small shifts might move the needle on your metrics, you can start the process, ensuring that eventually you’ll drive meaningful change for your organization, your employees and, ultimately, for the world. Let’s not wait 217 years.